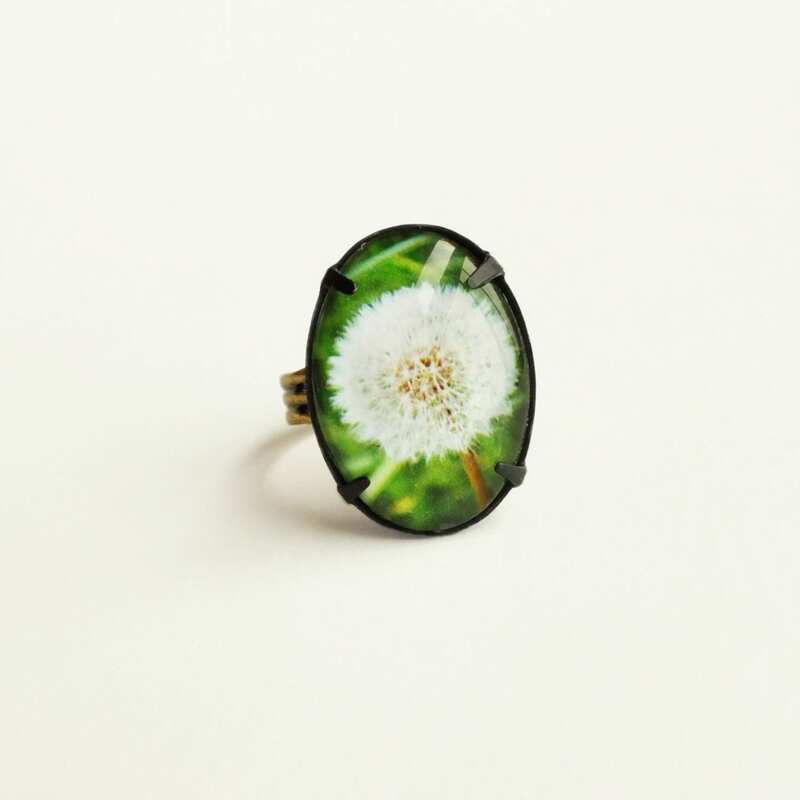 Handmade dandelion ring with white flower glass photo cabochon and adjustable brass band. 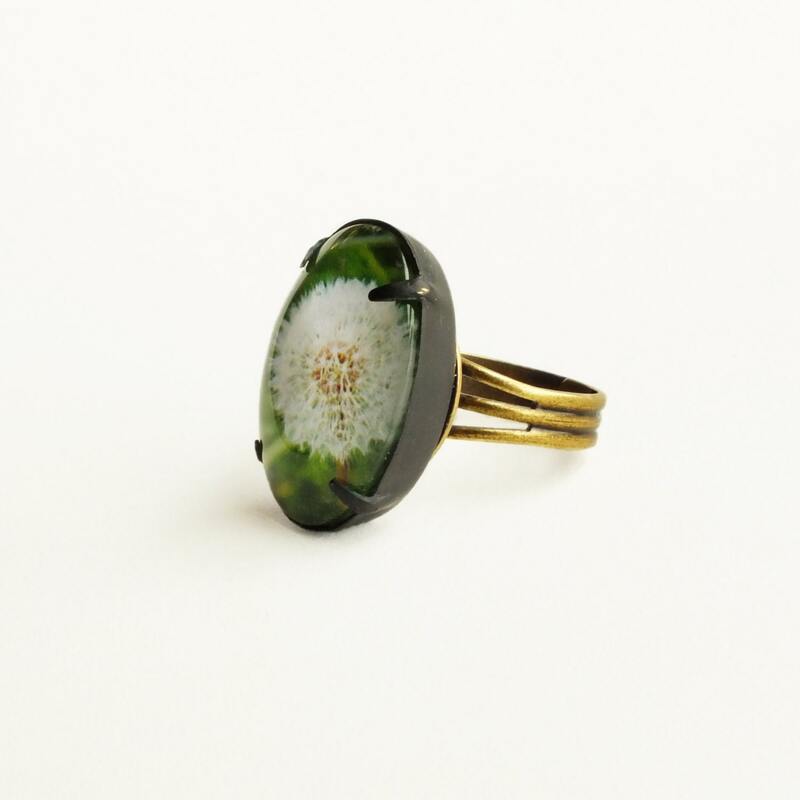 US made oxidized brass setting. 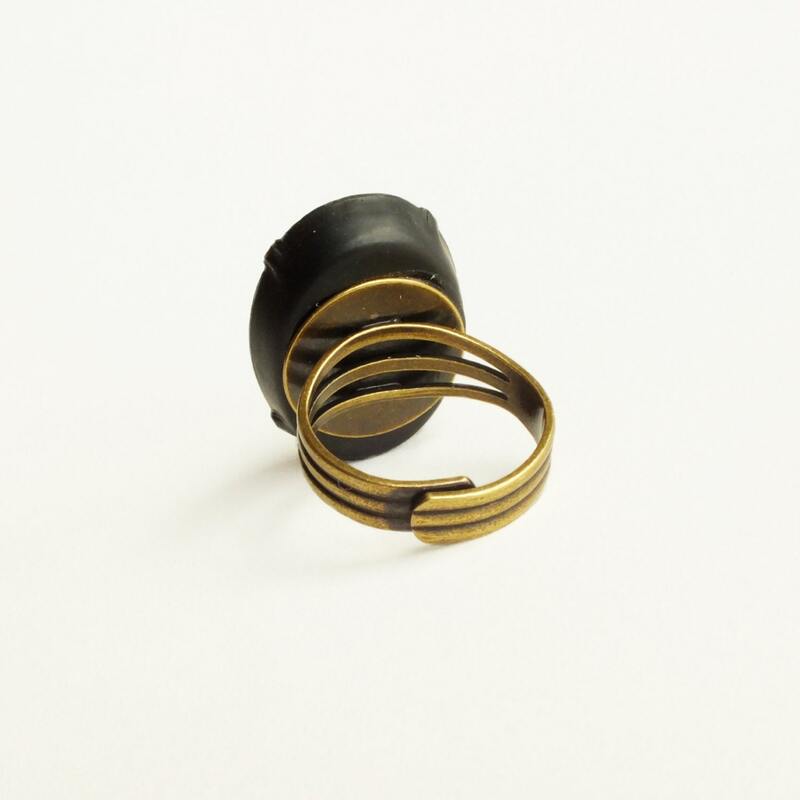 High quality imported antique brass ring. 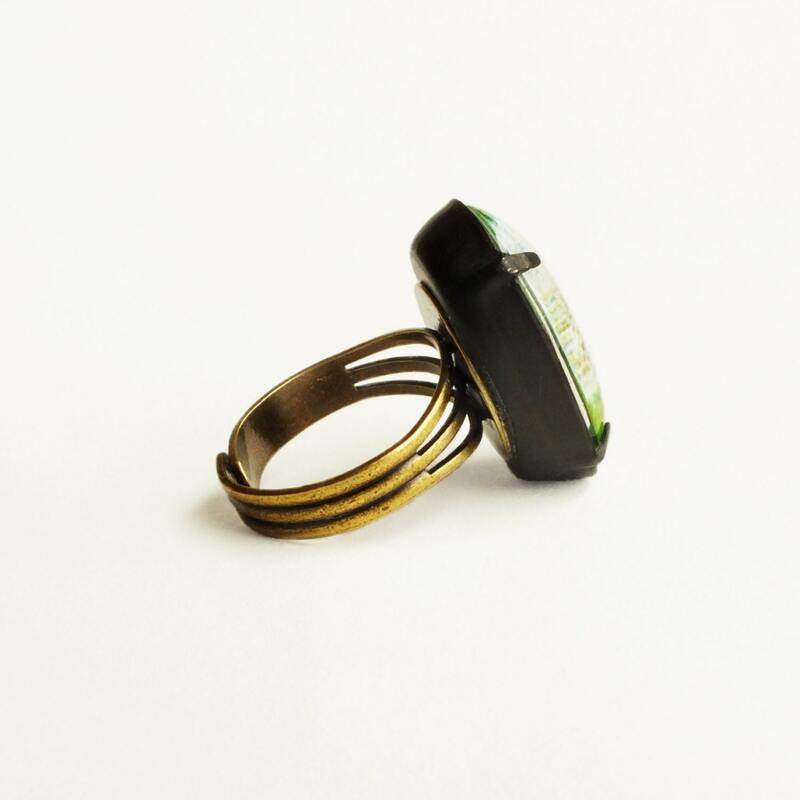 Hand-adjustable band size 4.5 and up . 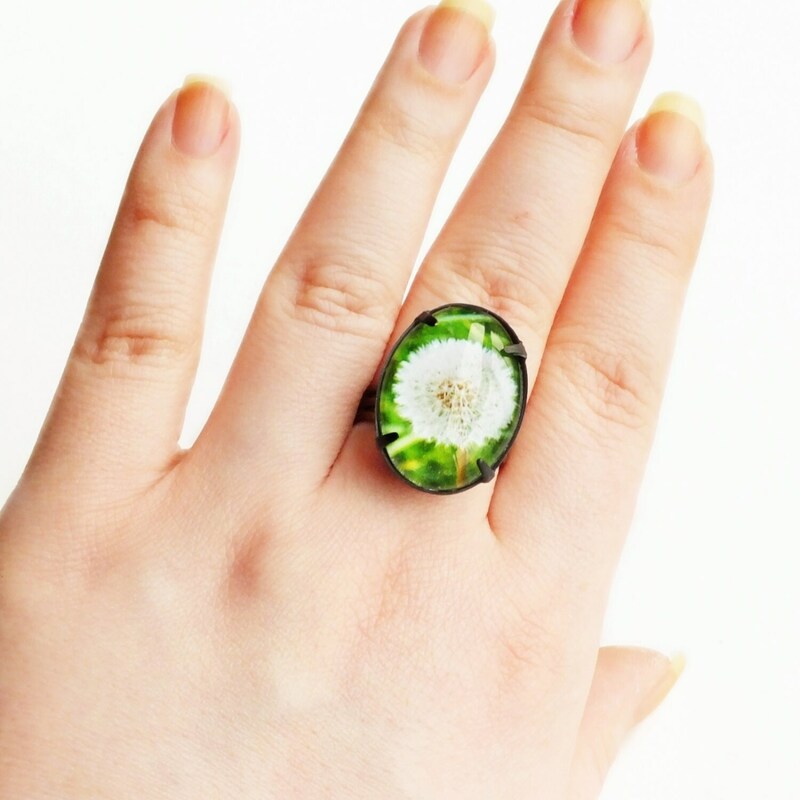 Made with a large handmade glass cabochon featuring a photograph of a detailed dandelion seed head with a green grassy backdrop. Set in a deep smoky antiqued brass pronged setting secured to a comfortable adjustable antique brass band. 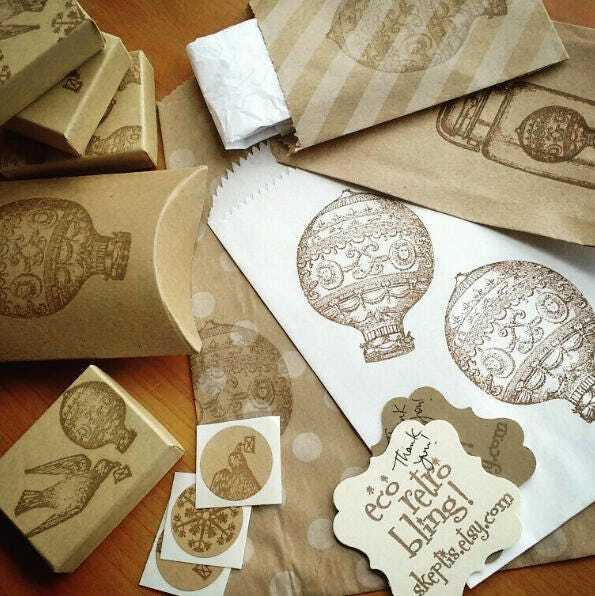 CANADA - Shipping for packages thicker than 2 cm are calculated based on postal code. Price listed is maximum price only. Over-shipping will be refunded.